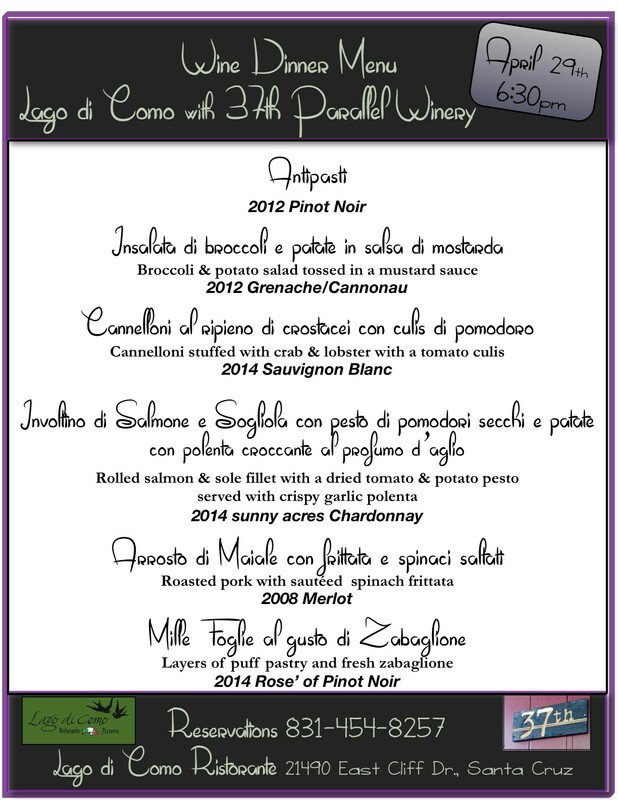 Join us for a special Wine Dinner with 37th Parallel Winery! 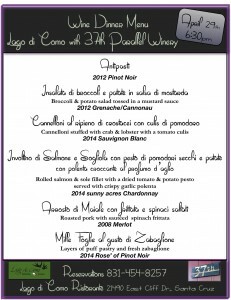 Local winemaker Les Wright will talk about the wines selected for each course. Wines are made in Scotts Valley in the Santa Cruz Mountains. This entry was posted in News and Events on March 9, 2015 by Bellagio.